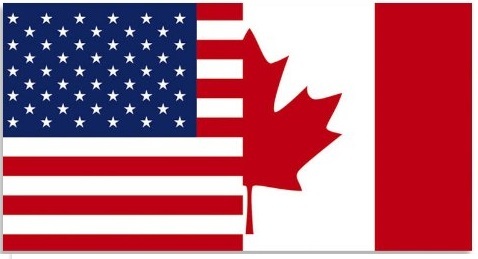 We know a good way of how every traveling and more specially crossing the borders between Canada and US to become more pleasant and the most important thing – faster! – And that way is to get a NEXUS application card that will make every border crossing extremely fast and without unnecessary waiting… Everybody who travels a lot knows that the last one we have mentioned is probably the most significant drawback when it comes to checks at customs or check-in on the airport kiosks. So, being an owner of the amazing NEXUS card, you will have a great advantage over the other passengers – fastness! Probably you have acquaintances or friends who use NEXUS card but you do know how exactly they work… And surely would like to understand, right? Well, the system of NEXUS works in such a way that all members who have cards to use them in the easiest way and without meeting any difficulties. You will find the NEXUS kiosks at 9 airports when crossing the border from US to Canada, as you only have to insert your card into the reader and to follow the instructions (voice and those of the electronic screen). 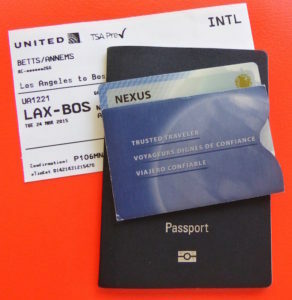 If you are already member of NEXUS and have been traveled by using the NEXUS card, then you know that to use these cards is not only very comfortable but very easy too! It doesn’t matter which way of traveling you prefer when crossing the border. Becoming one of the happy members of NEXUS, you will find out that even when traveling by land or sea, NEXUS cards will help you to move relatively faster than the other passengers… If you do not like to fly or are not a fan of the boat trips, then your car is the only vehicle possible to go to Canada or US. But does the NEXUS card work if you travel by land? – Yes, it does and just as when traveling by plane, your NEXUS card will be your best friend and “light in the tunnel” when you think that the long lines have no end! Be at the front of the queue and get a NEXUS card! Forget about the endless waiting and use your time for more pleasantly things… Do not make your beloved ones to wait for hours on the border and get NEXUS cards for the whole family! Thus, you and your fellow-travelers will be happy and not as intense as the other passengers – think about your kids that hardly are able to wait together with you all the people to take turns in front of the desks! NEXUS card is created for all travelers who love the comfort, as well as wish to be different. And if you like that all too, then NEXUS card is just for you – get it and see that every traveling to both US and Canada can be surprisingly pleasant! Whichever ways of moving you choose, be sure that by using your “magical” card you will be one of the firsts who cross the borders – isn’t that awesome? Become a NEXUS owner today and enjoy your trip tomorrow!